Few could be better than Jacory Harris at the start of last season for the Hurricanes as Harris busted up notable defenses including Oklahoma. This year he's back and he has a confident defense to help him. The 'Canes defense returns 9 starters including end Allen Bailey and cornerback Brandon Harris. The 'Canes have a strong defense but Jacory Harris as few options. 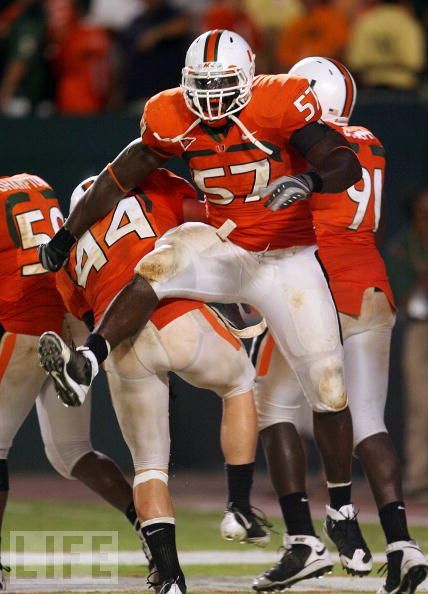 In the backfield, Miami has returning starter Mike James, but he isn't good enough to take the pressure off Harris. Key Games: Sept. 11 vs. Ohio State Quick Pick: Can Jacory play out Pryor? Two young quarterbacks face off and Pryor will win. Ohio State wins. Sept. 25 vs. Pittsburgh Quick Pick: A week after the Buckeyes the 'Canes must face dnagerous Dion Lewis and the Panthers. Miami wins.